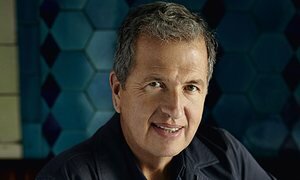 Mario Testino is one of the most famous photographers of the world, having shot some of the most coveted models, actresses, royalty, socialites and politicians. He is one of the prime doyens of the fashion world, and everyone in the industry takes his words in gold. With the rise of social media and decline of print media, one wonders what the relevance of any photographer, let alone the world’s best would be. In today’s world, an iPhone can shoot a picture and edited to magazine perfection, and this is exactly what some of the most famous “it” girls of today have been doing and have become famous with millions of people following them. When Testino was asked about this new phenomenon, he said, “You have to follow the moment. Every moment brings something new. Amber was in a moment with Carolyn Murphy, Kate Moss . . . Today, it’s more American girls, Gigi [Hadid] and Kendall [Jenner].” Testino says their appeal is about “positivity . . .